Lucy Wise has delighted audiences across Australia and internationally with her masterful storytelling, intricate ukulele and guitar playing and soulful voice. Drawing inspiration from her background in Appalachian and Celtic folk music, as well as legendary songwriters such as Joni Mitchell and Bob Dylan, Lucy’s songs sketch universally recognisable stories that are grounded in the realities of everyday experience. Having toured two albums and and two EPs to music festivals in Australia, New Zealand, USA and the UK over the past 8 years, Lucy Wise has developed a great reputation for her songwriting, which weaves together traditional folk and pop influences with a strong focus on storytelling. Lucy toured with her 5-piece band project, Lucy Wise and The B’Gollies and her trio lineup, Lucy Wise Trio to great acclaim between 2010-2015. 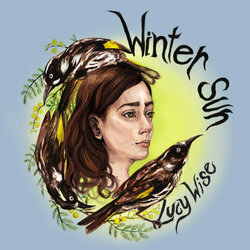 Following the release of Winter Sun, Lucy is currently on tour around the country.